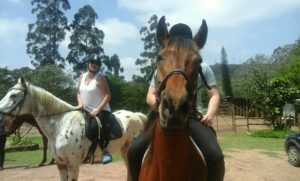 Giba Gorge Horse Trails is a Horse Riding and Trail Centre in the Giba Gorge Valley. 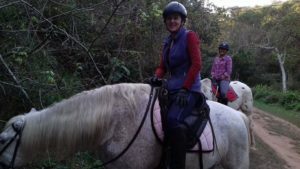 Giba Gorge Horse Trails has been doing horse trails for the past 10 years and the horses have all been specially chosen for both character and temperament. Good horses make for good rides. The trails are exquisite and include rivers, waterfalls and an abundance of flora, fauna and wildlife. This tourist attraction and local favourite come highly recommended. Situated at Swallow Farm which is next door to Boot-camp S.A and close to Giba Gorge Mountain Bike Park, another highly recommended venue for fun activities and includes an excellent restaurant. Trails are all guided and the Giba Gorge cater for experienced and beginner riders alike as well as the handicapped. A great experience for families, couples, schools and corporate groups. Full moon rides and team building programs are also on offer at this exclusive venue. Swallow Farm by the river is a great venue for picnics and parties.